But with just a quick zig-zag stitch, doesn't even have to be a matching color thread (c'mon now, who's going to see what color thread I did my mending with, here? ), I can get many more serviceable weeks out of this pair. And that holier-than-Swiss cheese pair? 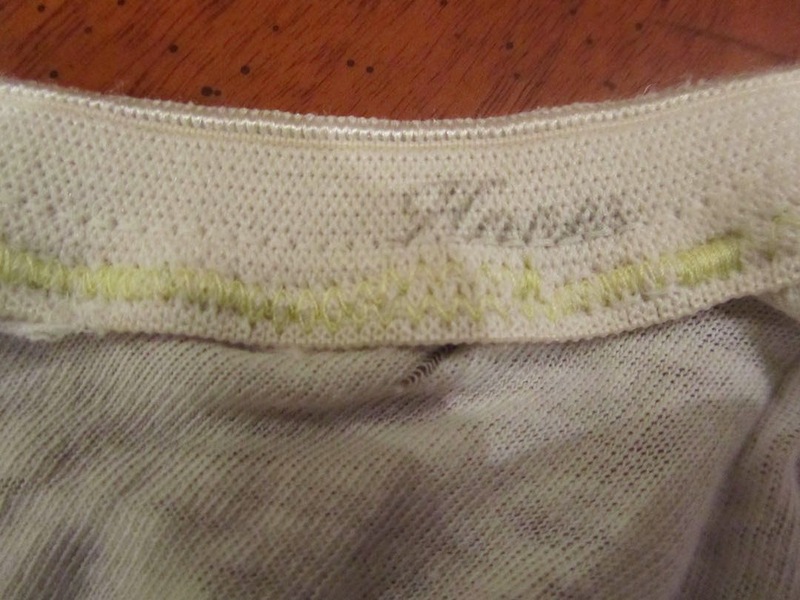 I can get a little more wear out of them, too, with a zip on the sewing machine. Hope I made you laugh today! Have a great weekend. Well, at least I'm not the only one to mend undies! But I won't show them off so you get the points for show-and-tell! 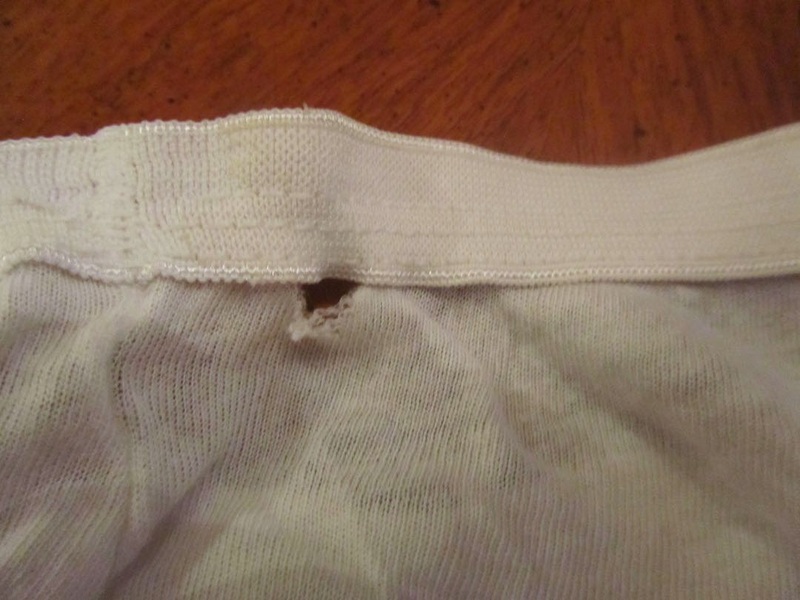 It's just so sensible to mend things, even the undies! I'll claim my show and tell points, now! my thoughts, exactly! It's a tradition that's been passed down in my family for generations! Who am I to end a family tradition of embarrassing your children, mercilessly?! they sometimes do! But you know what? They've kind of gotten used to me. 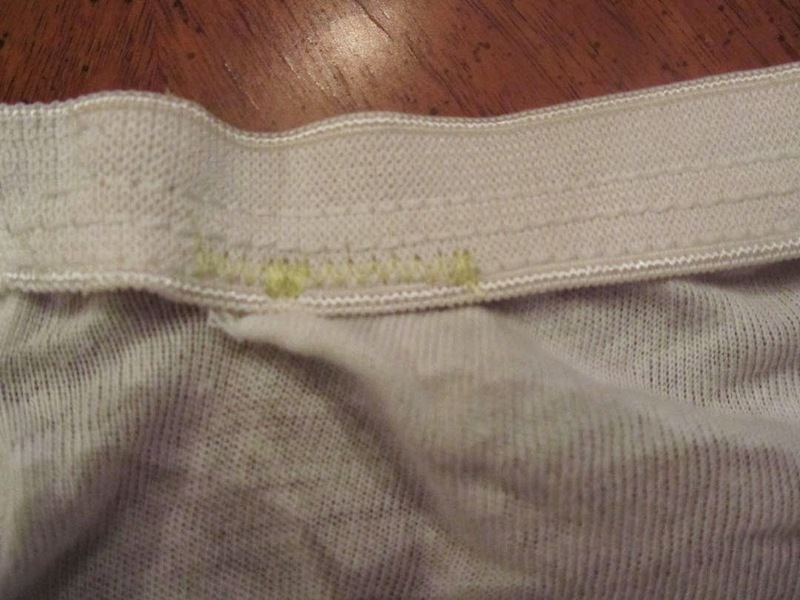 However, while my son would definitely appreciate that I mend undies, I think he'd be a bit mortified of actual photos. But I thought those photos were "tasteful", didn't you?!!! LOL! Tell them to be thankful you didn't post about THEIR unmentionables. Absolutely! Hmm, that could have made a great deterrent/threat for breaking curfew when they were in high school! "How to keep your teenagers in line? Start a blog in 5 easy steps"
yes, you most definitely did make me laugh -- thank you. and what a timely topic -- I just put a rip in one of mine this morning. 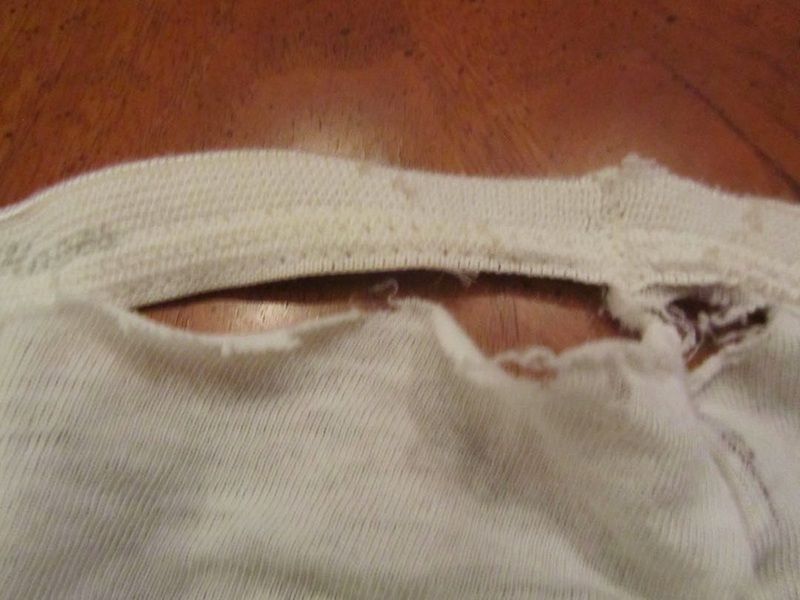 What would like be if we couldn't all laugh at those embarrassing topics that we all endure, like ripped undies? Happens to us all! Hope you can get yours mended before they become granny thongs! So glad I am not the only one who mends underwear. Love that you posted it with pictures! Yes, but those were "tasteful" pictures! LOL! My mom used to tell me to make sure I was wearing decent underwear, as you never knew when you might get into an accident. I never thoroughly understood this, and was trying to explain it to my kids one day. They didn't quite get this either. The thought of an accident sounded very terrifying, and not because I might become injured!